Ibo et Non Redibo: Let There Be Light — or Not? 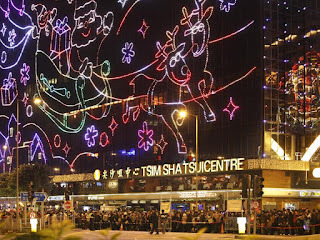 Some may rightfully point out that Christmas lights, be they in Asia or North America, have hardly anything to do with Advent or Christmas at all. If anything, it is a perfect example of the commercialization of Christmas. This topic itself warrants another blog entry altogether, and I do not intend to have it as my focus; rather, what are we to do when all we that have as an Advent tradition is checking out Christmas lights? 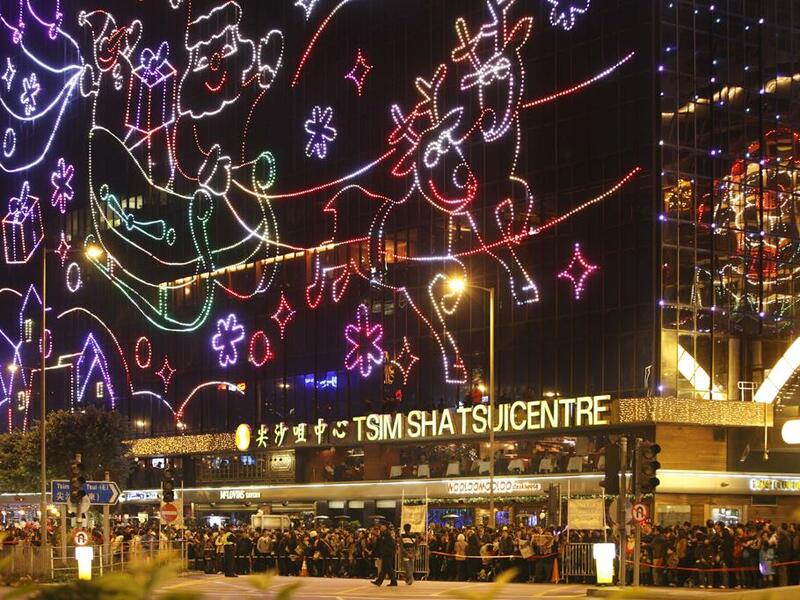 One can certainly claim that these Christmas lights are beautiful, and this cannot possibly be harmful to anyone. But, beautiful in what sense? The theologian Hans Urs von Balthasar sees God as Beauty, Truth, and Goodness; hence the source of all things beautiful, true, and good. Whatever is truly beautiful on earth should draw us closer to this ultimate Beauty. The beauty of nature, or the beauty of a masterpiece of a painting is a sight to behold because they reveal something more. They lead us deeper into this mystery of Beauty. In a sense, there is a kind of directionality to their natural orientations. How about Christmas lights? They are easy on the eyes with their bright colours and intricate patterns, but do they have the ability to lead us deeper towards this Beauty? Or, to put the question in another way, to where does this beauty that Christmas lights radiate draw us? I am not saying that Christmas lights are not the incarnation of the Devil, and there is something positive about the communal aspect of seeing Christmas lights. One would either go with families or friends, but never alone. Providing a venue for community-building is not that bad of a purpose at all. Therefore, I am not advocating that Christmas lights should be thrown into the darkness where there is weeping and gnashing of teeth because they serve an evil purpose; I am saying that we are in trouble if, as Christians, the traditions (and Advent traditions, in this case) that we decide to pass onto our future generations do not enrich their lives in a substantial and long-lasting way. For those of us who are brought up in a highly-secularized environment, this is a challenge. This is even more so if we are from a different culture. If we do not have any meaningful traditions about Advent to pass down, then we should find some. Does it mean that must go on a scavenging mission to collect as many Advent traditions from around the world as possible and then cook them all in the same pot that is my own home? It is not about keeping up with the Joneses, that “I must have what my neighbours have”. It is a matter of understanding why such and such practices are considered important and meaningful in my Christian faith. In effect, this is not a case of adopting something Western, or something old; it is about adopting something that would lead us closer to Christ. Being transformed by Christ is neither cultural nor temporal, but an ontological phenomenon. How this would take on flesh and bones depends on the prayerful discernment of the individual, whether it be in the form of having a Jesse Tree in the house, a Nativity scene, singing Advent hymns, or treating others as the baby Jesus by offering them baked goods. As for Christmas lights, perhaps I shall live to see the day when the light patterns illustrate the O Antiphon of that corresponding day rather than an animated Santa Claus and Rudolph.